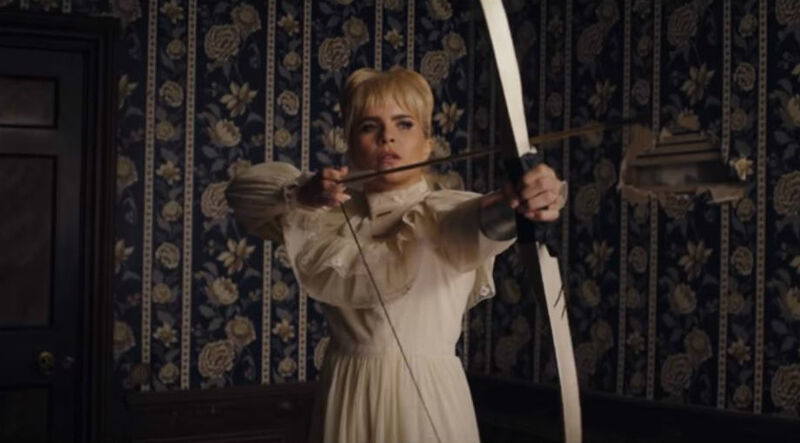 The Forestry Commission's Forest Live series of ongoing open air concerts played host to the effervescent and vivacious Paloma Faith on Friday night. In the truly beautiful surroundings of Bedgebury Pinetum, not far from Royal Tunbridge Wells in Kent, Paloma put on a dazzling show full of West-End pizzazz in front of a sell-out crowd. 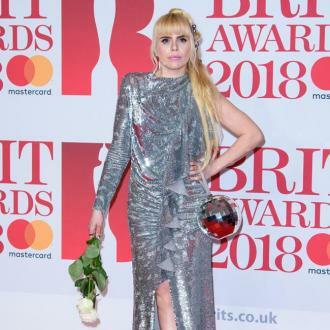 Having played the same venue three years ago, Paloma may have recognised the stunning setting for her latest return to the Kent and Sussex border, but, alas, she said: 'I don't know where I am.' 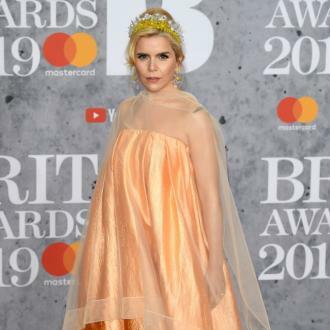 Having had a rather busy time of it, where Paloma has not only appeared as a judge on 'The Voice' but released another number one album and, most importantly, had her first child in the interim, I think she can be forgiven. The Hackney songstress brought her infectiousness to an eager crowd as she played out almost all of her latest album, 'The Architect', as well as a string of hits and favourites from her impressive back catalogue. 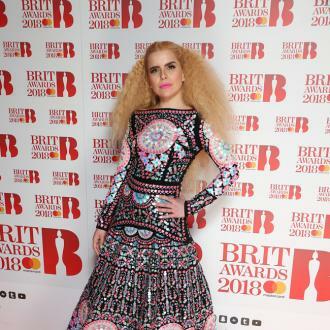 Dressed in a technicolour dress that surpassed anything Joseph ever had to offer and in co-ordinating stiletto lace-up boots, Paloma looked resplendent as she took to the stage. With three backing singers adorned in white with reflective glasses like a sci-fi choir, and a whole host of musicians in matching jumpsuits on a stage set that wouldn't have looked out of place on a 70s 'Star Trek' episode, Paloma had certainly not gone down the low-key, understated route to entertain. 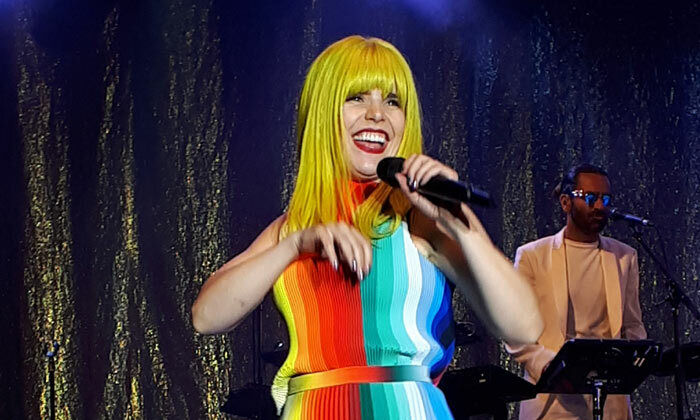 In her day-glo yellow wig and with the energy of a seven-year-old having eaten a large bag of Skittles to themselves, Paloma twirled onto stage to huge applause. Ward Thomas, Paloma's country-infused support act, had partially warmed the expectant masses who'd clearly come to party and have some fun. Paloma didn't disappoint. After the initial introduction courtesy of Samuel L. Jackson on 'Evolution', she got quickly into her stride as she belted out a fabulous and full-on version of the title track from her latest album. Hits 'Guilty' and 'Cry Baby' followed to the delight of the lively crowd with Paloma seemingly enjoying every minute just as much as those she sang to. Through the night she owned the stage as she whirled and wandered from left to right, taking time to get up close with the crowd and even rather precariously standing on a grand piano, itself already elevated on the glistening stage. Paloma was captivating during her performance and delivered a blinding set that showcased her unique talent to its full extent. The power and passion she displayed on tracks such as 'Warrior' and 'WW3' were at the very least impressive and most definitely mesmerising in their intensity. Paloma was not short of a word or two to punctuate the evening. We were told about the feelings she had gone through and the abuse she'd been subjected to before she sang out a great take on 'My Body', and we were given an advisory tip on making sure we cleared up after ourselves as she'd been left disappointed in the past by all the litter left behind. Latterly, Paloma gave a rather touching speech about her ideas on initiating an 'epidemic of kindness' and also amused us with her views on singing on commercials ('naff') before comparing herself to a Skoda and singing her song that accompanies the Skoda Karoq ad, 'Make Your Own Kind Of Music', complete with a sing-a-long from the crowd. The prosecco flowed freely, the picnic hampers were emptied of their wares and the sun slowly set as Paloma wooed the appreciative field of fans, including the three small primary school age boys who'd relentlessly wiggled their way to the front to catch a glimpse of Paloma. Apart from a slight wardrobe malfunction early on (fixed by Adele... no, not that Adele), the evening went super smoothly and incredibly quickly as hit after hit were delivered with great gusto and magnificent showmanship. 'Lost And Lonely', an energised 'I'll Be Gentle', a heart on the sleeve 'Picking Up The Pieces' and finally a stirring and emotive 'Only Love Can Hurt Like This' helped seal a spectacular and entertaining evening enjoyed in the Garden Of England. A triumphant performance from a true star performer.